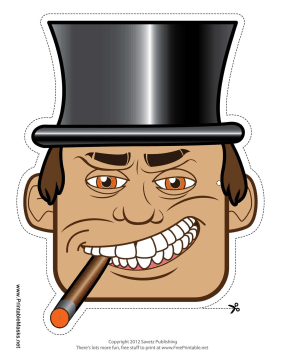 This dastardly tycoon mask has a top hat, a crooked grin, and a lit cigar. His cunning face will help you make important business deals. This mask is free to download and print.